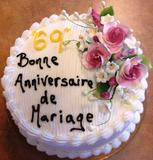 We offer customizable cakes for your special occasion. Each one is unique to your event. The pricing will reflect the features you choose.